Since it stopped its commercial activity in november 2017, SwissRoomBox represents eight years of an extraordinary adventure full of challenge and satisfaction. A « storystelling » on YouTube with more than four million views…. And that is thanks to your enthousiasm that helped us succeed in the commercialization as well as fabrication of our product in collaboration with our local artisans. We thank all our Swiss, European, American, Canadian and Australian clients for their unvawering trust. Despite these exciting years full of promise, unfortunatley SwissRoomBox did not make it to the stage of industrial production, which was necessary to render the company sustainable. This would have allowed us to offer better prices to our clients, respond adequately to the demands of the market, as well as to the numerous requests of internationally reknowned distributors. With this move, we are turning a page, however, innovation and creativity never stops… We are keeping this website open, as the «business model » created by SwissRoomBox that transforms your car into a camping car in 5 minutes, is much more than a new product on the market… it is more so a vision of movement and discovery in all its freedom that represents a life style much sought after… who knows what the future is preparing fur us ! 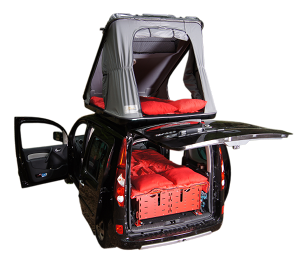 We thank you all again for sharing our vision of the future of the camping-car ! 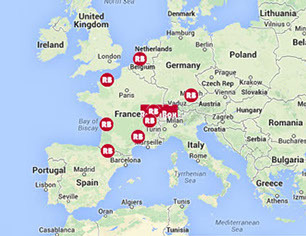 swissRoomBox® Official Distributor or Retailer? that can be installed in most cars. Swiss creativity: over 100 years ago, the invention of the "Swiss Knife" was transforming a basic knife into a multi-functional tool. Do you have a media project with the swissRoomBox@ Innovation?